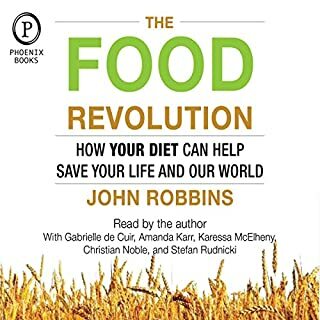 Here, the man who started the "food revolution" with the million-plus-selling Diet for a New America, boldly posits that, collectively, our personal diet can save ourselves and the world. If, according to chaos theory, the beating of a butterfly's wing can cause a hurricane in another part of the world, try this out for chaotic cause and effect: monarch butterflies are dying in droves due to genetically-engineered corn growing in the Midwest. There is also a direct correlation between the Big Mac in your hand and the mile-wide river now running across the North Pole. Are you a vegan or a vegetarian? Have you ever wanted to start a ketogenic diet? 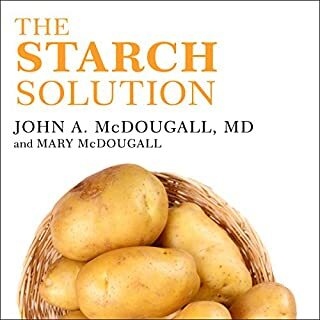 Don't know where to begin eating low carb? Is a vegan keto diet even possible? The answer is an astounding yes! Whatever your reason or condition, you will most definitely benefit from this. 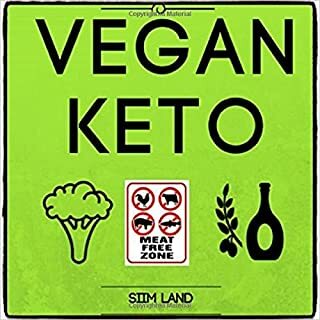 Vegan Keto provides you with a simple plan to start a ketogenic diet for vegans and vegetarians. Everything you need to know about the keto diet and low carb eating. 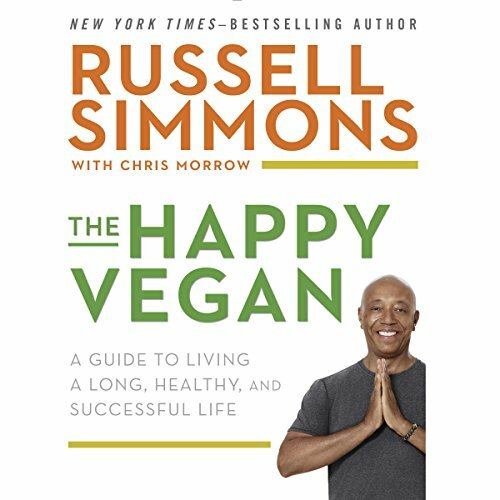 Master entrepreneur, original hip-hop mogul, and three-time New York Times best-selling author Russell Simmons offers an inspiring guide to the benefits of conscious eating and veganism. 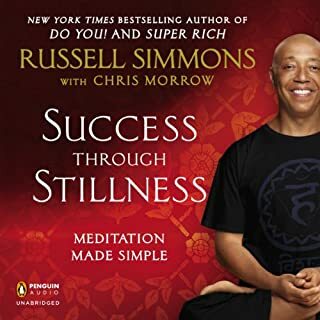 In the New York Times best-seller Success Through Stillness, Russell Simmons shared how meditation can be used as a powerful tool to access potential in all aspects of life, having seen himself how achieving inner peace led to outward success. In The Happy Vegan, Simmons shares how once he started practicing yoga and meditation, he became more conscious of his choices, particularly the choices he made regarding his diet. Simmons first adopted a vegetarian and then vegan diet and almost immediately began to experience the physical, mental, and emotional benefits of eating green and clean. 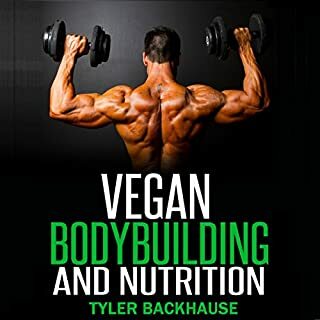 He delves into research about mindful eating, the links between stress and poor eating habits, the importance of listening to your body, the well-documented problems associated with eating animal products, and processed foods, along with tips on how to transition to a vegan diet. Drawing on his own experience, the experiences of others, and science and research on the health benefits of conscious eating and veganism, The Happy Vegan is an accessible and inspiring guide to help others make the move toward a vegan diet and a more successful, focused, and purposeful life. I found the chapters on factory farming to be educational and heart wrenching. The abundance of food alternative ideas were great. 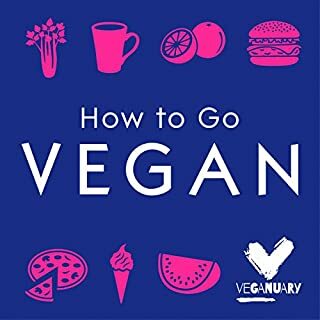 I think this book is more for people who are thinking about being vegan rather than practising vegans. All in all this was well worth the purchase! An easy listen with facts and information that make sense and is easy to digest. You feel like the author has authority to speak due to his background. Russell has knowledge and experience and provides the listener with honesty throughout. The chapters are broken down into valid points. It does get a little intense with the topic at times but overall it's an insightful and inspiring book that I would highly recommend. This book is a must read for everyone! It covers so much more than I expected. 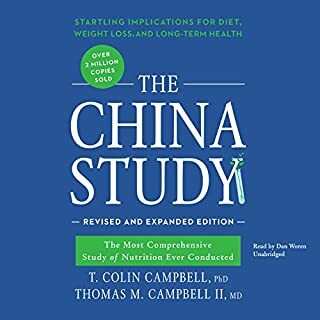 This book is a good overview of veganism that might be more approachable than something like "How Not to Die" or "The China Study". I like how Simmons intertwined veganism with a more compassionate and self-aware lifestyle. 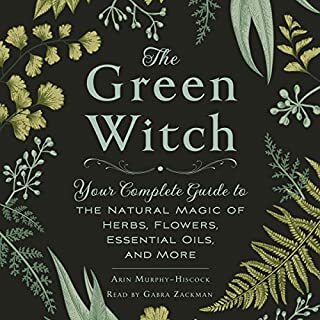 If you are already vegan, this book doesn't provide anything new or astounding, but is interesting and will certainly reaffirm what you already believe. Loved this book!! I am already Vegan but it reminded me of the reasons why I choose this lifestyle (compassion for animals) and gave me more reasons to be grateful for my decision (better health and a stronger body). 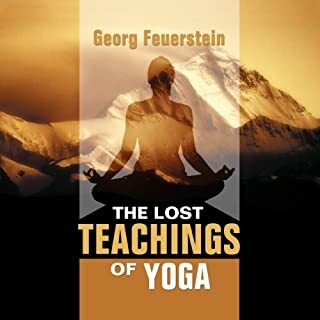 I have been putting of meditation and yoga for awhile but after finishing this book I am getting started!! The narration by Black Ice was perfect. I've been vegan going on 4 months and never felt better. I've lost 15 Pounds and counting. Just more reassurance this was the best choice for me and the in site on yoga tying directly to it is motivation to start that as well. Would you try another book from Russell Simmons and Chris Morrow and/or Black Ice? Yes, I would. I love Russell Simmons and appreciate him wanting to educate and help people find "happiness". Black Ice narrated the book well and I enjoyed his voice. If you’ve listened to books by Russell Simmons and Chris Morrow before, how does this one compare? I have not listened to other Russell Simmons books. What does Black Ice bring to the story that you wouldn’t experience if you just read the book? Narrator has a great voice for the book. Sounds natural, flows and easy to understand. Some narrators annoy me after about 15 minutes, so I was able to listen through the whole book. Was The Happy Vegan worth the listening time? The Happy Vegan was a good book but was filled with information that I knew. It was somewhat worth the listening time. I feel like the story was 50% statistics so it was information I could get off the internet, but I love that Russell is sharing his experience and an advocate for better health in US. started listening this morning & haven't been able to stop. very well written & it spoke to me in a way that was reasonable & to the point. not sugar coated nor demeaning. IT WAS RIGHT ON TIME!! This book was a pleasure to listen to. I'm already vegan but found it informational and inspiring. My husband, a near-vegetarian, appears now to be heading more into a veg/vegan lifestyle. Russell Simmons' approach to his choices and other peoples' is --in my humble opinion--rational, appropriate and extremely thoughtful. Thank you!! Amazing start for a vegan lifestyle! 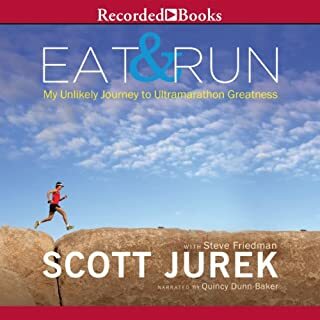 I enjoyed listening to every second of this book! I decided to become a vegan right before o started it, and the book grounded my decision in every aspect possible. I even feel like I am best friends with Russell now, and will sure look for his book regarding yoga and meditation. I definitely recommend it! 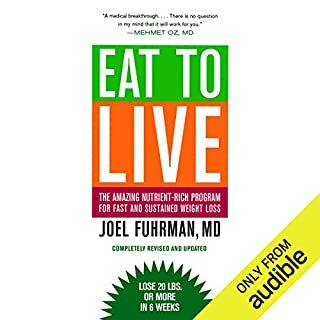 Enjoyed his practical approach to transitioning to a plant based diet as well as his explanation of both philosophical and spiritual reasons to change. He is very honest about his own journey. What did you like most about The Happy Vegan? I am new to being vegan, and I listened to this to give me encouragement. It did, the chapter on animal cruelty ruined my day because its so awful to hear... but it made me strong and gave me resolve to stick to what I have started. I struggle to see meat in the same way now, and there is a sense of relief in my soul now that I don't eat animals... I feel creative and excited about food now... herbs, spices... trying new vegetables. life is good. 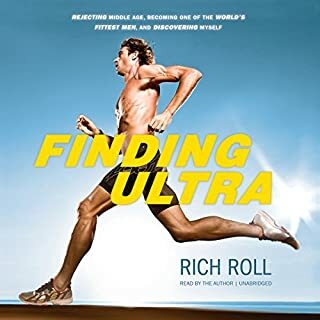 Although it takes a 10 minute to get used to the American-ness of this audio, it's a really interesting book about the inconvenient truth of the horrific processes that surround consuming animal products. 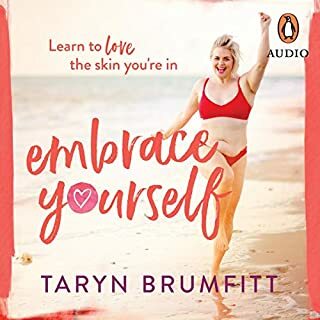 This audible has been fantastic for both these tasks - the delivery is pacey and brisk - full of warmth and personal stories You will have noticed, I'm sure, that there are plenty of inspired young women offering 'clean eating' guides out there but I found this a very welcome change of perspective and definitely something my teenagers felt more able to relate to. There are plenty of facts/statistics/references for those who'd like quantifiable information and there's spiritual inspiration also. 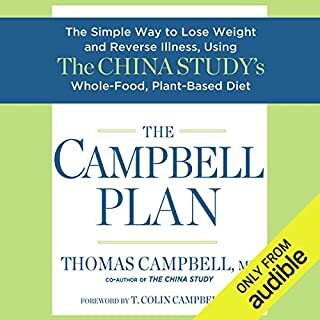 Would you consider the audio edition of The Happy Vegan to be better than the print version? I have not read the print version however I found the book and in particular the speaker very inspiring. I have just started my vegan journey and I needed some encouragement and proof of it's benefits, and I got that in great quantity. Excellent writing and at a pace that kept you interested all the time. 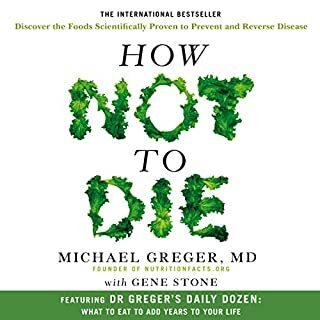 Hard hitting but well worth it cause illnesses caused by consuming meat from very badly treated and very badly killed animals is good to know in order to make a choice. Many don't realize just how unsustainable meat production is how very polluting and destructive to the environment. All this is explained bluntly and candidly in this book. What made the experience of listening to The Happy Vegan the most enjoyable? It was really interesting, easy to listen to and very informative. It was full of things I had questions about, and stuff I haven't thought about yet. What was one of the most memorable moments of The Happy Vegan? I loved the section about the angry vegan and it really made sense. 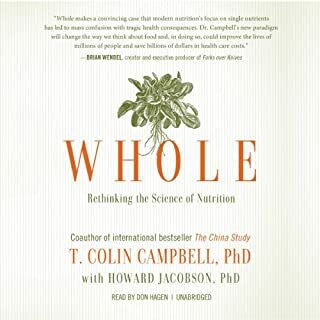 I really enjoyed this book and it has helped me make the transition to veganism. I particularly valued the relatable anecdotes, practical tips, and the overall non-judgemental and down to earth approach. Would definitely recommend to anyone considering veganism or who would like to understand more about why people do it. a really great reading and a great place to start imho. the information provides you with little room to justify the continued consumption of animal products. I found the narration to be really aggressive and almost unbearable to listen to. It stressed me out! Try before you buy!!! This book appealed to me because I love old school hip hop, and just happened to discover it existed a couple of months after realising the need to go vegan. Though hip hop wasn’t a huge feature, having such a respected & accomplished figure talk about his experiences and journey to veganism while being in that culture made it all the more inspiring & attainable. There was a small section on yoga/meditation which I haven’t personally adopted (yet) but he talks a lot of sense. 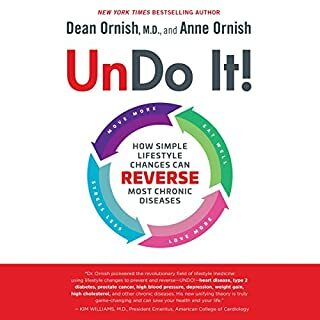 I highly recommend this book, and wish more people took notice of the concepts within it - for the sake of our own health, the environment, and of course, the abused animals who suffer and die every day.